EasyPC Support provides a range of products and services available to home and business users. As well as having access to a wide range of PC suppliers like DELL, HP and ACER, we also build bespoke systems. This enables us to exactly meet your requirements to ensure you get the right equipment for your money. Try our interactive Custom PC Builder for an instant quote of a fully bespoke system with the latest customisable hardware! Cabling installations are carried out to the highest standards, and our experienced on–site engineering team ensure that the entire installation is fully tested before it is completed and signed off. We can install wireless networks & configure wireless security. Our engineers have installed Fibre Optic, Cat 5e & CAT 6 Network cabling in Houses, Schools, Residential Foster Child Units and Business throughout Coventry and across the UK. A few simple plans for an easy life. We’re here to make life easy for PC users, and our support plans are easy to understand. For the home user, try easyPlan, for business users we have easyPlus. For those of you that would prefer us to access your machine remotely and tweak things for you – we have easyRemote. It covers the cost of both parts and labour – plus our engineers come to you! * We initially provide support via a low cost technical support helpline in order to establish the exact nature of the fault. If we are unable to resolve the issue over the phone then we will organise an engineer to visit you at home or at work. * We simply ask you to pay on a monthly Direct Debit basis for the support you require and you cover is renewed for another month each time you make a payment. Unlike traditional extended warranties or service plans we do not ask you to sign up for a minimum contract period or pay huge sums in advance. This really is the simplest solution to covering your PC against hardware failure. Unlike regular service plans or extended warranties, cover is totally flexible. You can control the period of cover as there is no minimum contract term. We initially provide support during normal business hours, via a low cost technical support helpline in order to establish the exact nature of the fault. If we are unable to resolve the issue over the phone or by remote access then we will organise an engineer to visit your office the next business day. It covers the cost of all parts and labour required to get your PC performing again and there are no additional call out charges or hidden costs. We simply ask you to pay on a monthly Direct Debit basis for the support you require and your cover is renewed for another month each time you make a payment. The benefits of the plan are available for as many times as you need them whilst you continue to make your payments. We understand that technical support over the telephone may not always be practical and so Easy PC have come up with Easy Remote – A low cost, remote support solution to keep your computers running at their best. Using specialist software and when requested by you, our technicians can remotely connect to your computer and resolve a wide range of problems, including; viruses, spyware, slow machines, application errors, or even to help with simple tasks like emails or letters. On-Site Engineers and fully-equipped Repair Workshops ensure a flexible and comprehensive approach to Computer and Laptop Repairs and Upgrades. Be it Virus Removal, Data Recovery, Broken Screens or Software and Hardware Upgrades, our combined experience of more than 60 years and a 25-year trading history, will always provide a satisfactory solution. 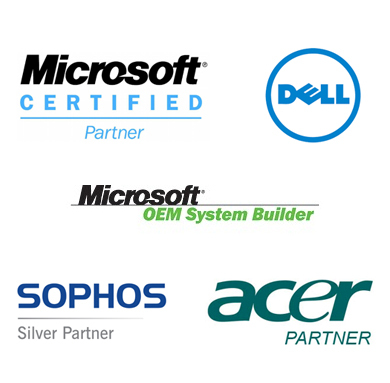 Easy PC is partnered with companies like DELL, SOPHOS, LogMeIn and Microsoft and can therefore offer a wide range of Managed Services. We can provide Cloud Backups and Hosting, Exchange Email, Help Desk Support, Web Services and are Fully proficient as an Office 365 Provider. Our bespoke Systems provide Reporting and Tickets throughout. Our fully trained Network Engineers and Installers are widely experienced with Wireless, Cable and Fibre Networks. We also provide Sales and Support for both Physical and Virtual Server solutions. The security and peace of mind know to know that reliable and legitimate help is only a Click away! Unlimited access to our experienced UK operated Support-Desk for any Computer Software or Virus Problems.